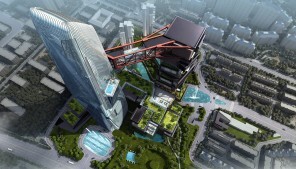 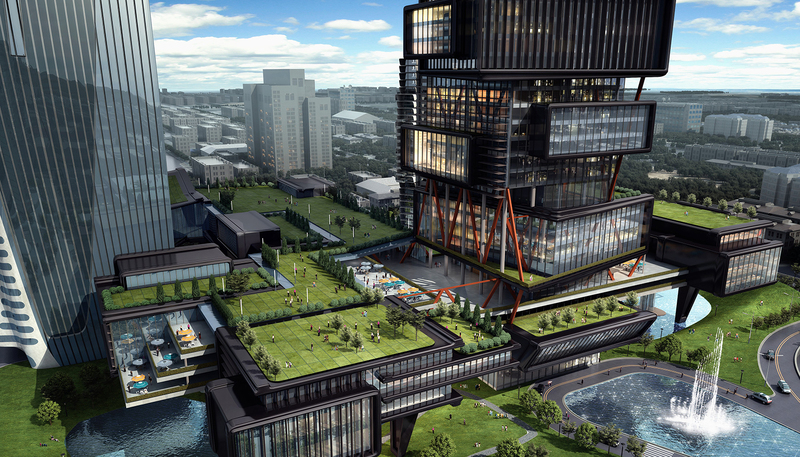 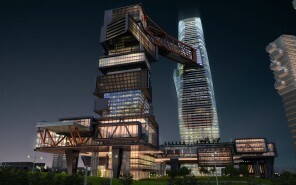 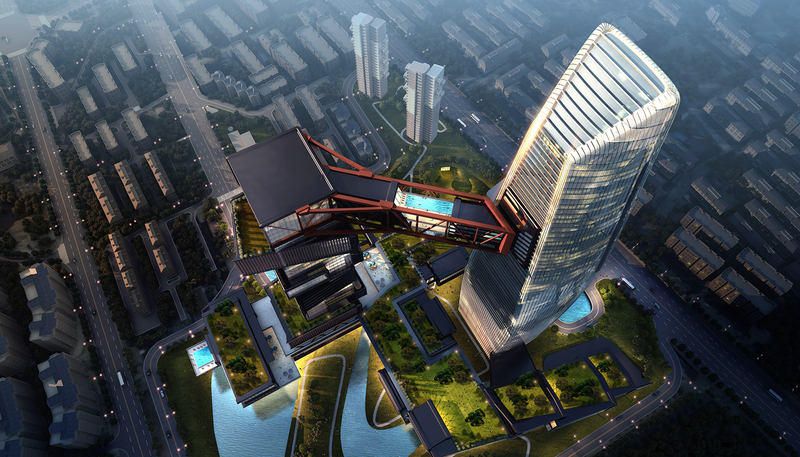 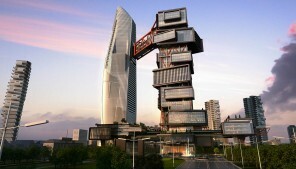 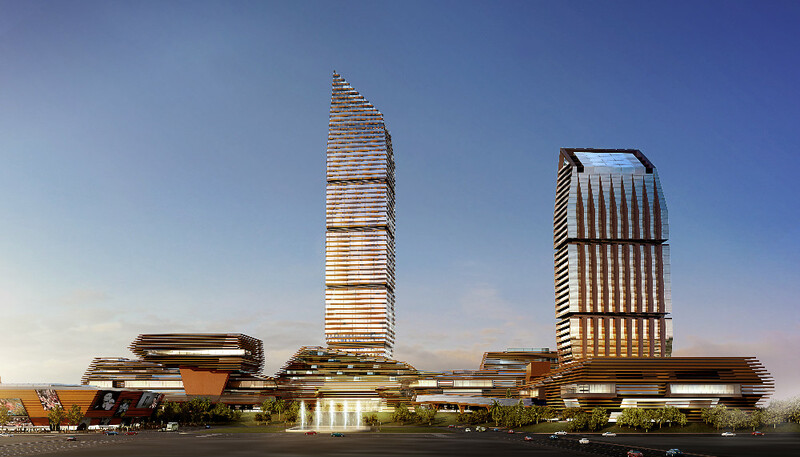 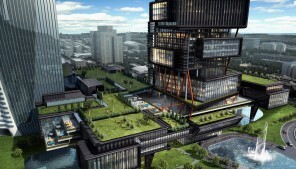 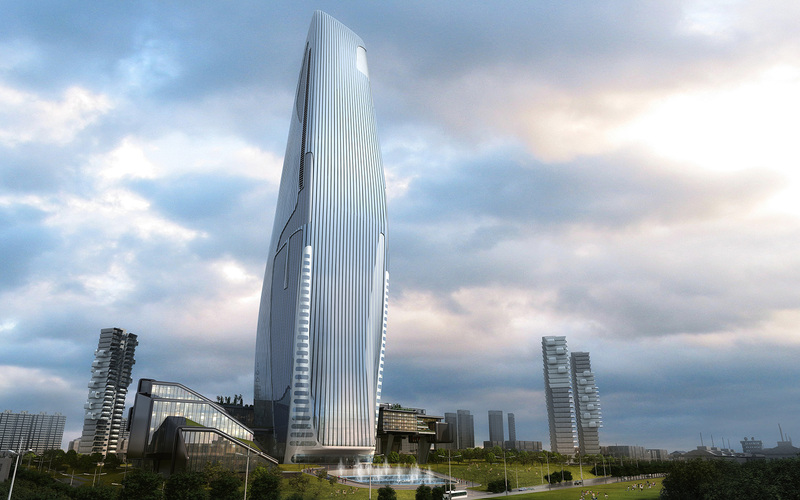 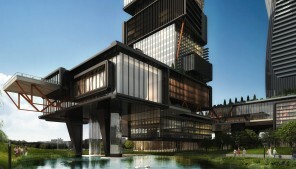 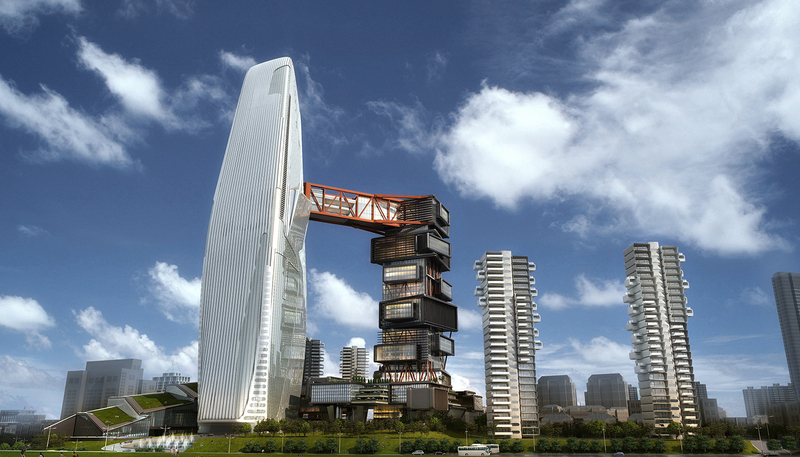 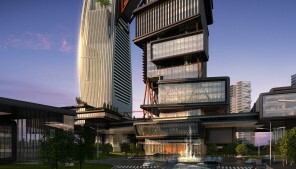 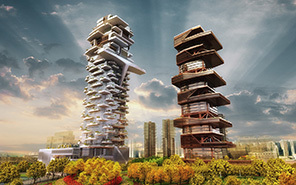 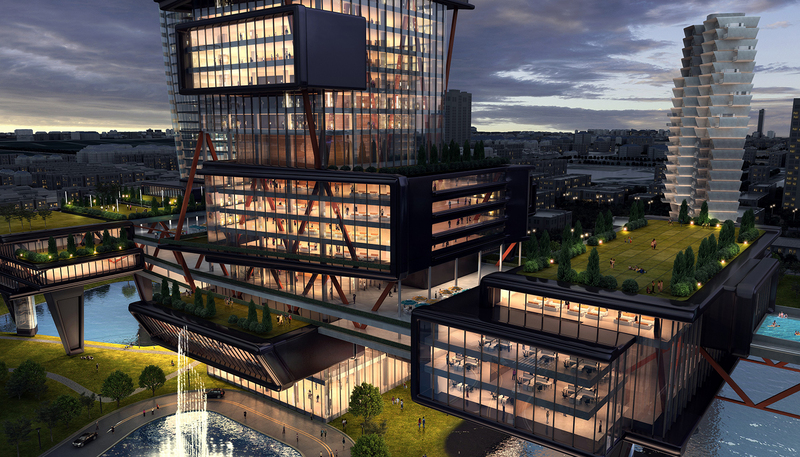 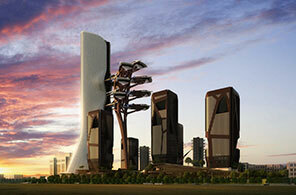 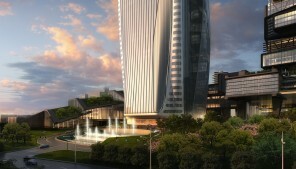 This scheme proposes twin towers to interpret the office and hotel as the two main functions of the program. 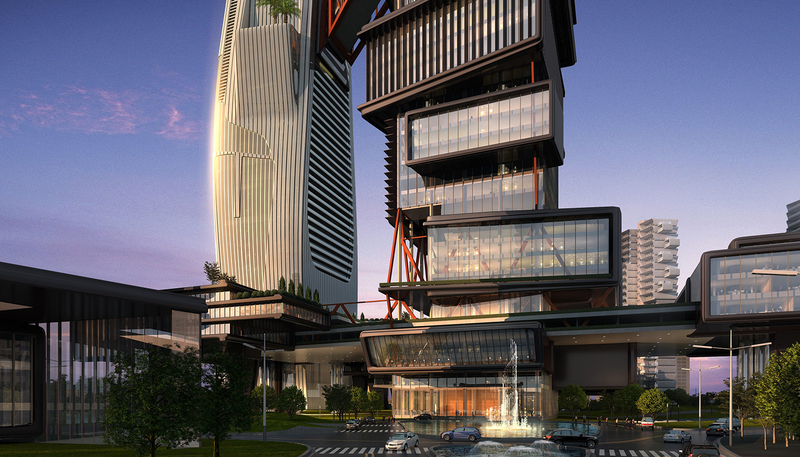 The twin towers represent the idea of dualism. 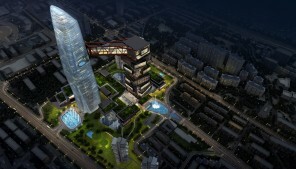 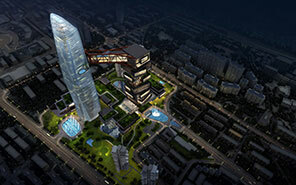 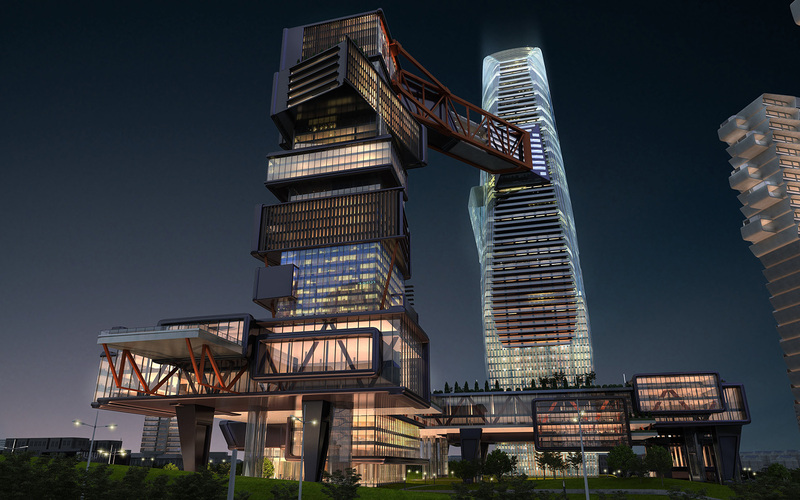 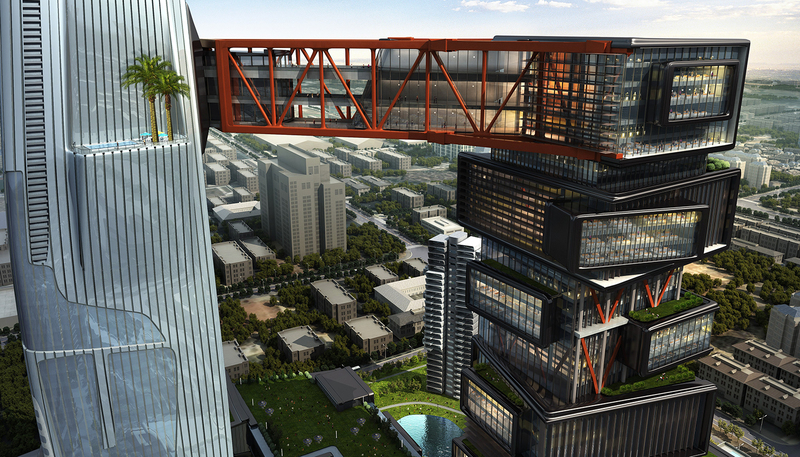 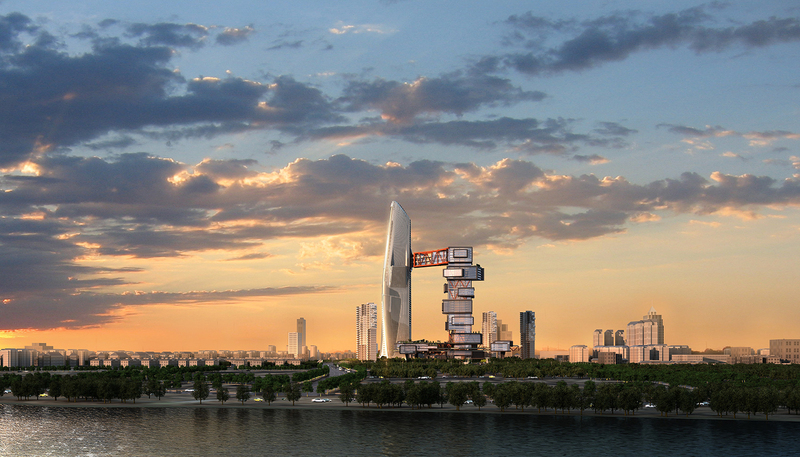 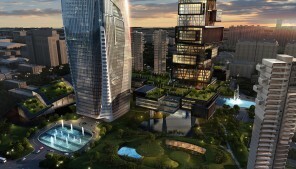 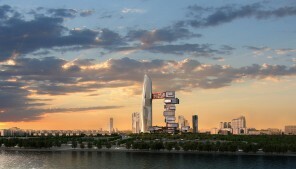 The office tower which is 199.2 m in height is the symbol of Zoomlion. The refined geometry of the 280 m hotel tower is contrasted with the rough texture of the office tower. 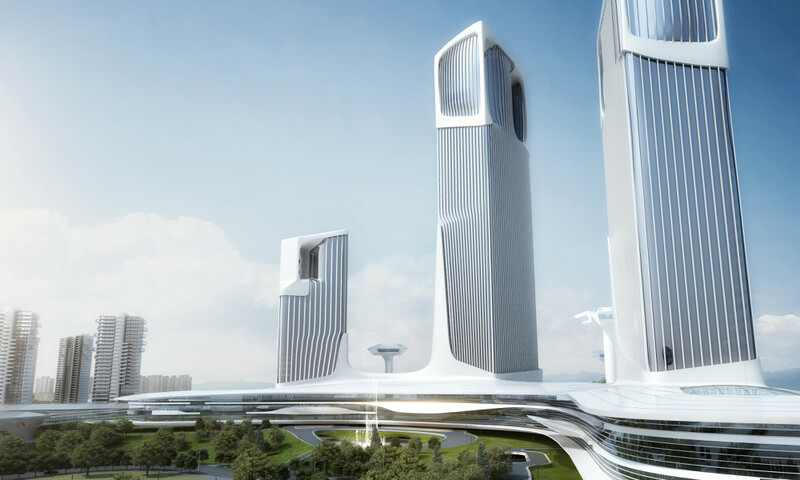 The image is a vivid simulation of the space shuttle tied to its launching pad, emphasizing the industrial strength of Zoomlion product.